Today Canon showed us the new EOS R. Unfortunately, they’re crippling it. 4k video is heavily cropped, and can’t even get 120fps @ 1080p. Also only 1 SD card slot. So it’s up to the awesome people of MagicLantern to unlock this camera’s true potential! If you've got one and don't mind running a couple of tests, just ask. Expecting to get blank screen with M50 code, i.e. hopefully able to run a while(1). Maybe also LED blinks if lucky. Also only 1 SD card slot. UHS-II interface, though. First time in consumer/prosumer line-up. Lens interface protocol redesigned. Means work for devs. No third party lenses for RF mount, only EF/EF-S with adapter. Seriously, Canon? Sounds like lot of fun and navigation towards HC SVNT DRACONES. Seriously, a1ex: Your twitter account sounds like you'r not absolutely against sending you a specimen. It's nonetheless twitter. So: Where are we heading, cap'n? I'm looking forward to see it in person, at the moment I really think about going back to Canon from A7s1. Body seems to win in terms of ergonomic with both Nikon Z and A7/A9. ISO performance (at least on photos I saw, unfortunately jpegs only) is not too bad, and I think up to 40k after Lightroom it will be comparable with a7s in 1080/2.5k resolution that I usually export my photos. I will miss rear dial. However with new ring on lenses (set this to aperture control) and using camera dials for ISO/exposure seems to be a good idea. As for 4K, IIRC Kai tried with 10-18mm EF-S on adapter and it worked perfectly. So there are some workarounds to this crop factor other than on 5d4. I missed that info, where they stated it? No quote from Canon itself. Problem seems to exist because of a (at least one) Canon patent covering RF mount and no word given about licensing to third parties. Nothing heard from Sigma, Tamron, Tokina (to name the most usual suspects) about it. I think/hope there will be some interviews at Photokina trying to get a solid statement about this. Well, since the other DIGIC 6/7 ports appear to be a little different from what we are used to (DIGIC 4/5), and simply waiting for others to jump in apparently wasn't exactly the best idea for these models, I've considered getting a recent camera and making a reference port, that others could easily adapt to other "new" cameras. Was thinking at M50, as it seems close enough to all other DIGIC 7 models, yet different enough to be challenging (its firmware is a strange mix between EOS and PowerShot codebases, and the sensor looks a bit faster than on older Canons). Then noticed the giveaway and got tempted by the full-frame dual pixel RAW (some unfinished notes I've started to write a while ago here). Didn't expect anything to come up from that, but looks like some folks took it (maybe a bit too) seriously. EOS R is also DIGIC 8. No idea what's inside, but expecting its firmware to be similar to M50. Whether we'll be able to run code on it, remains to be seen. You mean we should be following someone other than just @autoexec_bin for the latest ML news? Didn't expect anything to come up from that, but looks like some folks took it (maybe a bit too) seriously. I think there are some people happy to hear about your change of heart and willing to express their happiness through donations. If you drop a word I'm convinced there will be no troubles getting you a EOS R (+ RF lens + EF/EF-S-Adapter) or a M50. I just pre-ordered R + 24-105. So @a1ex if you have any ideas for rom dumping feel free to contact me. Hope to get it on time as I'm going for a week to Chernobyl Exclusion Zone just day after release. So either new toy (and opportunity to compare it against A7s) for this trip, or will have to wait until I'm back. Price tag for RF lenses is non adequate (you get body and 28-70 5.5k$) making whole system kinda strange. And for this price you have 50mm in 4k. Depends on what you want. I'll probably add 70-200 2.8L IS II + something wide like mentioned 16-35 on EF and leave 24-105 for trips where I don't have time/want to play with lenses. Yup, I'm not shooting much video, and just before my 5d2 hit the floor (in accident) I worked mostly as photojournalist. After two years break (done only ~3000 shoots on a7s during those 2 years, half of them on two visits in the Zone) i'm getting back into it, and lastly most shots are either on 16-35 or on 100+mm. With all the 'paradoxes' that R presents, I still decided to buy it. For Canon skintones, EF lenses and body ergonomics (waited for a7sIII but I consider even a9 too small for my hands). Many people talk about single SD card and IBIS - I don't consider them a problem, but to be fair - none of my previous cameras had those. And would probably buy again 5dc as backup body. I ordered one too. I work in tech and am happy to help with however I can once it arrives! Theoretically speaking: Would it possible with ML to shoot 120fps in 1080p or would the limit still be 720p? That's the main gripe I have with this camera. The 4k crop I don't mind so much. We don't have any ideas about internals, and you're asking questions. Nobody from dev team have it, and what's worse it's not just an iteration of DSLR, some things for sure had changed. The best expectation is no expectations. If it's like 5D4, it's very unlikely, as 1080p60 appears to be pushed to the limit. That's an unexpected limitation, since on both models, the sensor appears to be fast enough for 1080p120, assuming no readout overhead for lower resolutions. Take it with a grain of salt, i.e. as pure speculation or CR0 if you prefer; I did not see the EOS R firmware. The error screen looks just like on previous models, which is encouraging. The camera recognized there was a FIR file on the card, for the correct model, otherwise it would have printed "Update file cannot be found". The error message means it could not verify the checksum; Canon might have changed the FIR file format, or maybe also the encryption. Edit (February 2019): turns out it was just the decryption code locking up with some FIR files. Encryption changed - we can no longer create FIR files for this camera. Nice to see that something is going on! Every single accepted FIR file (that did not print an error) hanged in the green screen state. Otherwise, the error message was always the one from the screenshot. 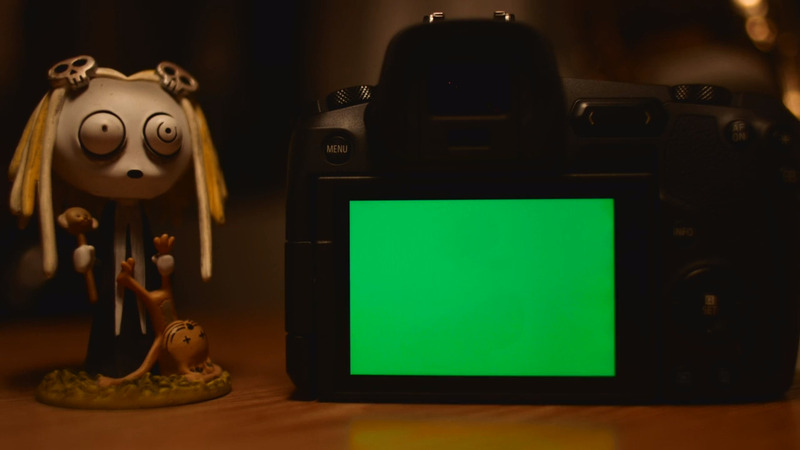 - while loading a FIR, Canon bootloader prints "Loading..."
- maybe just the image stream was turned off, and the display controller (which is likely "smarter" than in previous models) timed out and displayed some green screen. The above is just speculation. 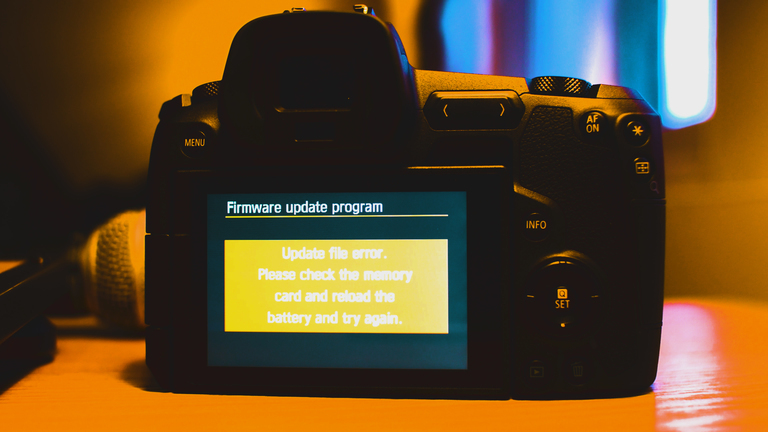 Easiest way to figure it out: wait for a firmware update. Harder way: perform some more blind tests, hoping to get some different outcome (other than green screen or error message). I'm not 100% sure we actually executed code on the camera, but the lack of error message hopefully means the FIR file was accepted (i.e. encryption was not changed). - grip ergonomy is wonderful. It's smaller than 5D2, but due to a bit different shape it's similar in comfort of holding it. - where's back dial ?! - touch bar is a joke. Was disabled factory default and I kept it disabled. - control ring is interesting feature. Not sure why was also factory default disabled. - mode dial is not that bad (how often do you switch modes?). However there's so much wasted space in power switch location. - AF is fast AF ( ). I was amazed after using A7s for last two years. - 24-105 is quite heavy lens. - LP-E6N! Took two spare LP-E6 from mum's 5D2 (btw, 10 years anniversary!) and now I have three. Eat this, Sony! - I'm amazed so far with EVF quality. Much better than A7s1, which was the first EVF that convinced me that mirrorless may substitute DSLR. - A few more programmable buttons wouldn't hurt. 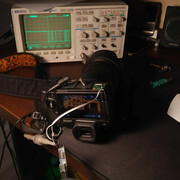 Silent still: 17.47 μs/line, 78.25 ms full readout at 6720x4480 => 385 MPix/second readout speed? - quirks: grip has separate USB-C for charging, will charge only with LP-E6N, won't charge any with both E6 and E6N inserted. Yesterday I (finally!) bought 5DIII as spare body... with respectable 258k shutter count Yep, it was so cheap I can replace shutter twice before hit "usual" price, and it has so signs of failing. This question is directed more to ML developers then to R owners. Is R have any potential advantages for ML video possibilities over 5d4, except eye tracking? No. But image quality can differ. For some reason, 4K on 5D4 is sharper then on R.
What about DIGIC 6+ vs DIGIC 8, CF bus vs SDXC UHS-II bus? - Battery grip has ability to upgrade it's firmware (additional option in firmware update menu). - Toshiba M4EBF10XBG inside (may be wrong about F). Google gives no results, but A1ex found another uC with very similar name. - Shutter and AF pins are directly available on grip connector. Ground them for action. - There's a single (unused in grip) pin that shows some digital communication on camera start, photo shots and sometimes random "messages" on idle. Signal is active-low 3.3v, around 50kHz, but no luck trying to treat is as 57600 serial communication. Will borrow logical analyzer and try to dump this. USB-C in grip seems to be used only for charging grip batteries. USB-C in body is used for communication and charge of internal battery when no grip is attached. Both work only with LP-E6N (won't charge E6) and with USB-PD adapters only. No luck with standard 5V chargers and QC/PE ones.